Macron laid out France’s position in a letter responding to written concerns expressed by the lobby group, the French Coalition for Cultural Diversity. “France has always stood by the exclusion of audiovisual services from free trade agreements. It’s a key issue, for the protection of cultural diversity, on which the Council [of Europe] is unanimous,” Macron wrote in a letter dated January 2, which was later posted on the coalition’s website. He said France would demand “an explicit mention” of the exclusion of audiovisual services in any directives adopted by the EU Commission within the framework of a future FTA between the EU and UK. Macron’s position was not unexpected and is not particularly controversial. France has long been a champion of “cultural exception”, or “cultural diversity”, battling most recently for it to be upheld in the long-mooted, yet-to-be-agreed EU-US Transatlantic Trade and Investment Partnership (TTIP) trade deal, negotiations for which are reportedly on ice. The country first introduced the concept of cultural exception during the 1993 negotiations around the General Agreement on Tariffs and Trade (GATT), which was succeeded by the World Trade Organisation rules in 1995. Under the principle, cultural goods and services are treated differently from other commercial products, giving countries free rein to support and protect their own cultural sector as they see fit, through subsidies, quotas or obligations. The French Coalition for Cultural Diversity lobby group, created in 1997 to defend cultural diversity, is presided over by Pascal Rogard, head of France’s Society of Authors and Composers of Dramatic Works (SACD). Rogard told Screen the group believed it was important to gain assurances that audiovisual services would not be included in such deal, even if negotiations could be a long way off. “The response was wholly satisfactory and is in keeping with the policy upheld by a long line of presidents from Hollande and Sarkozy through to Mitterrand and Chirac, but we wanted to check his policies with regards to cultural diversity,” said Rogard. Rogard said France would expect the UK to respect EU legislation around audiovisual services and cultural diversity, especially if it brokered a special trade deal with the US and there does seems to be an acceptance a deal for the audiovisual sector will be done separately. The European Audiovisual Observatory noted in its recent report Brexit: The Impact On The Audiovisual Sector (published on December 18) the UK Parliament’s cross-party Digital Culture, Media and Sport Select Committee was working on the assumption negotiations around the audiovisual sector would take place outside a main EU-UK trade agreement. 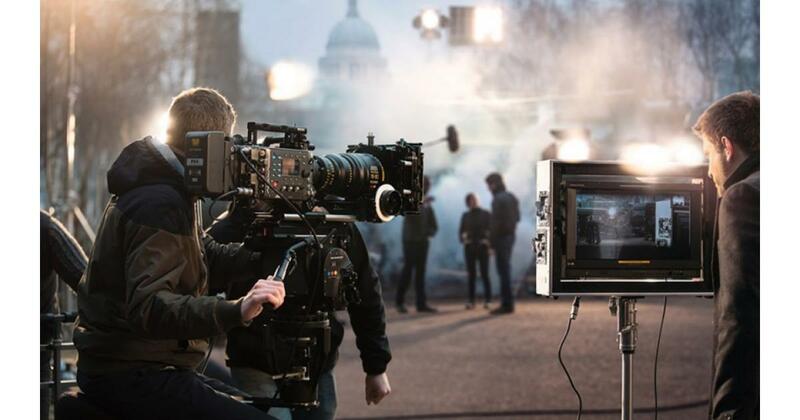 Like many business sectors in the UK, the country’s audiovisual industry - the largest in the EU - is trying to fathom the implications of Brexit. The challenges and questions are multiple, ranging from how UK-based companies will recruit EU talent and skills when freedom of movement ends, to how multi-territory broadcasters such as Sky or BBC will continue to operate across the EU single market and the implications for the distribution of UK films and series into the EU if they no longer qualify as European. One pro-Brexit UK newspaper reported Macron’s letter indicated the president wanted to exclude the UK’s creative industries from the EU after Brexit. Rogard said this was not the case. He said UK film and TV content would most likely continue to be regarded as European due to the territory’s continued membership of the Strasbourg-based Council of Europe. He also suggested the UK was also fairly closely aligned with EU thinking on a number of key issues such as support for local content and the need for global digital players to make more of a contribution to the territories where they generate revenue, via taxation or investment obligations.